Questions? Click on the Category below to view our Frequently Asked Questions. Q: How do I place an order or request a quote? Q: Do I need to figure out the best way to build my total footage? A: Our form and tool will generate a standard offering of pusher options for you, all you need to do is provide the footage of each of your categories. These options can be adjusted to suit your specific needs. Q: How soon after ordering will my fixtures arrive? Q: Do I need tools to install the fixtures? A: Yes, basic tools are necessary. All holes are pre-drilled to make installation easy. Preview the installation instructions HERE. Q: How much do the fixtures cost? A: We have some example fixture configurations HERE to give you some ideas on how you can configure your own fixture. Pricing for each example is shown. Please feel free to use our form, design tool, give us a call at 1.800.968.6991, or email info@harborind.com to get your custom fixture quote. Q: Can I order any fixture height? A: Our Infinity Fixture has an ingenious telescoping feature that can add up to 36 inches of height to your display (it adjusts from 61” up to 91”, 3” at a time). The low profile fixture is also available which has a fixed height of 55″. You determine the width based on the combination of 2′, 3′ and 4′ wide fixture section you select, and can also add width one foot at a time with an extension kit. Measure once and it fits – for foolproof setup the first time and every time. For more information, please give us a call at 1.800.968.6991, or email info@harborind.com to get your custom fixture quote. Q: How do I know if the Infinity fixture will fit my space? A: It’s our most customizable fixture yet, so it’s easy to configure for the space you have. We’ll even talk you through how to measure for it. Q: Is the Infinity fixture system compatible with my existing Flex Frame 2 fixtures? A: Yes, you can use Infinity pusher systems on the Flex Frame 2. Q: Can I order fixtures in custom colors? Q: Is there sales tax? A: Yes, we calculate tax based on the ship to location. Q: How wide are the shelves? A: All of our shelves are 1ft wide, regardless of fixture size. This allows for maximum flexibility when zoning your products. Q: Are the shelves adjustable? A: Our patented shelf design is adjustable at ½” increments. Q: Do I need different shelves for each style of pusher? A: No, the shelves work with all style pushers, or without pushers for cartons, odd package sizes, etc. Q: Are the Infinity fixture’s headers lit? A: Yes, the headers come with cool, long-lasting energy-efficient LED lighting. There is also extra storage space behind the headers for cartons and other miscellaneous products. Q: What type of bulbs do the fixtures use? A: Our fixtures use LED lighting to minimize energy use and provide maximum lifespan. Q: Is there storage in the header area? A: Yes, the Infinity fixture includes storage space behind the headers. Q: How much weight do the shelves hold? A: Individual shelves are rated at 25 pounds. Each fixture also has a maximum load rating. Q: Do the pushers pull out for restocking/inventory counting? A: Yes, all of our pushers pull out for easy restocking and inventory counting. Q: If I need a 10ft wide fixture, how many individual fixtures do I need? A: The most economical way to build 10 total feet is using (2) 4ft fixtures and (1) 2ft fixture. A: Regardless of overall length, all fixtures can be merchandised in 1ft wide increments to maximize flexibility. See more information HERE. A: Our form and design tool will generate a standard offering of pusher options for you, all you need to do is provide the footage of each of your categories. These options can be adjusted to suit your specific needs. Q: Are shipping costs included in my fixture pricing? A: No, shipping costs are calculated based on your destination and quantity of materials ordered. We do have negotiated pricing with carriers based on our overall volume. Q: If my floors are uneven, do I need anything special to install my fixtures? A: No, all fixtures have easy to adjust levelers to accommodate uneven floors. Q: Can I use your fixtures for anything other than tobacco products? A: They can be used for anything you would like to display. Please refer to the overall load rating to ensure you do need exceed the fixtures capacity. Q: How long will it take my fixtures to arrive? Q: Are the fixtures made in the USA? 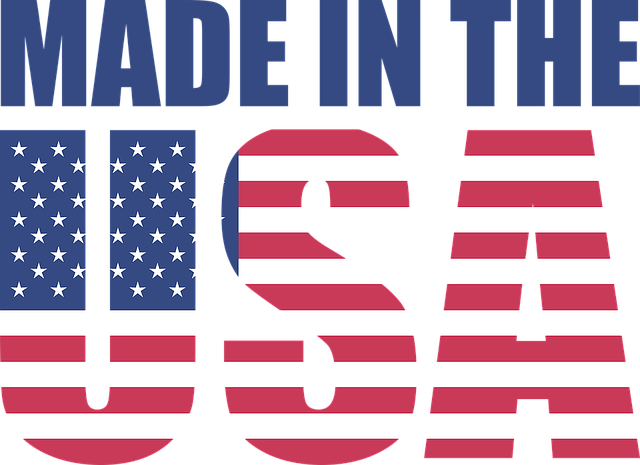 A: Yes, all components and assembly are proudly made in the USA at our Michigan facility. Q: What are the dimensions of the fixtures? Q: Do end panels come with the fixtures? A: No, end panels are purchased separately. Q: Do I need end panels between each of my product categories? A: No, end panels are only necessary at each end of a fixture, regardless of overall length. Q: Are end panels absolutely necessary? Q: Do I need tools to install the end panels? A: Yes, you will need a Phillips head screwdriver. Q: Do I need tools to install the storage doors? A: Yes, they install easily with a cordless drill and Philips bit. All holes are pre-drilled for easy installation. Preview the installation instructions HERE. Q: Do I need to match my storage door size to my individual fixture size? Q: Can I install security doors and storage doors on the same fixture? A. They can be installed side-by-side, but not over the top of each other. We have Fascia Panel kits that install on the security doors to provide the same function as the storage doors. Q: Do the security doors need to match my individual fixture size? A: Yes. For example, a 4’ security door will only fit on a 4’ fixture. Q: How do I ensure proper rotation of inventory? A: Our pushers can be locked open making it easy to place fresh product behind existing product. Q: Do you have a solution for products that hang from hooks? A: Yes. We have a fully adjustable hanging hook system. See more information HERE. Q: What products can be displayed using adjustable pushers? A: Just about anything, even items as narrow as 3/4″. Q: Can I have my fixtures professionally installed? A: Yes, Harbor Industries has a nationwide network of professional installation services. Requests for installation must be made at the time of quotation of your fixture. Q: Can I install my fixtures myself? A: Yes, your hardware kit will come with a quick installation guide, or instructions can also be downloaded HERE to allow you to prepare for installation before your fixtures arrive. Q: Do I have to assemble my fixtures? A: Fixture sections ship fully assembled to save time during installation. Simply follow the instructions to connect the sections and install the header and additional accessories that you’ve selected. Q: How do I know my fixtures will fit in my location? A: You do need to measure how much available room you have. Click HERE for an animation showing how to measure. A: Yes, in the rare event you need a replacement part, we have most components in stock. Q: Do the product trays slide out for restocking or inventory counting? A: Yes, all the trays drop down for easy restocking or inventory counting. Q: Can the OPM mount to the counter or the ceiling? A: Yes, the OPM can mount to either a counter or the ceiling using components shipped with the fixtures. Q: Do I need professional installation for my OPM? A: Due to the weight and their typical mounting location over customers and employees heads, we do recommend professional installation for OPMs, however it is not required. Q: Do the under counter merchandisers use the same pushers as the fixtures? A: Yes, all shelves and pushers are the same as what is used on the fixtures. Q: I don’t see any signs or pricer items listed? A: Signage and pricing solutions are generally provided by your tobacco suppliers. It is also likely your current items will fit your new fixture. Q: What if I want to put a pricing tag on the shelves? A: All pushers have 1-1/4” channel on the front to accommodate standard pricing strips, etc. Any shelf without a pusher will have a similar channel as well. Click HERE for more information. Q: Can I have my order delivered directly to my store(s)? A: Yes! If you do not have a loading dock we offer lift gate service to lower your fixtures to ground level. We also offer inside delivery if necessary. Q: I don’t have room to store my new fixtures inside prior to installation. Can I specify a delivery date and time? A: We can coordinate a specific delivery date. We will also contact you prior to delivery so you know approximately when your fixtures will deliver. Q: How are my fixtures and accessories packaged? A: All packaging is transit tested and exceeds industry standards. Fixtures are stretch wrapped and shipped on the same skid with your accessories. This prevents separation of items by carriers during the delivery process. Q: Is Harbor Industries new to the tobacco fixture market? A: No, we have been producing tobacco fixtures for over 25 years, and likely have produced the fixtures currently in your store(s). Q: Where is Harbor Industries located? A: Our headquarters and tobacco fixture manufacturing facility is located in Grand Haven, MI. Q: Can Harbor Industries help me with other fixture needs in my store(s)? A: Absolutely! See more of our 65+ years experience in the store fixturing markets at www.Harbor-Ind.com. Please feel free to contact us for more information.